Hello Friends, thank you for stopping by again. It’s always lovely to have you visit! 2014 was certainly an exciting and happening year at the Ivory Spring household. Yet, it also meant a rather sad one for me… because a publication that frequently featured my designs was longer as of August 2014. 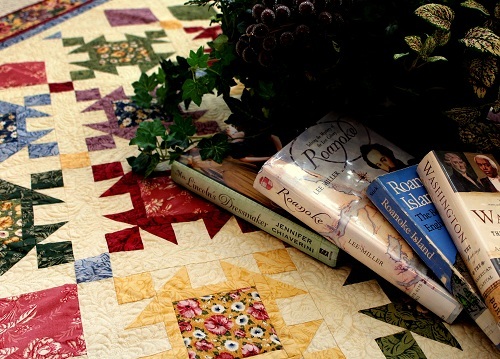 You see, the reason The Quilter was so special to me is that it was the magazine that featured many of my early designs. You can see the exhaustive list here. A very special issue for me was their May 2009 issue where it made mention of the birth of Miss Baby. Miss Baby is turning 6 this year — how time has flown by! 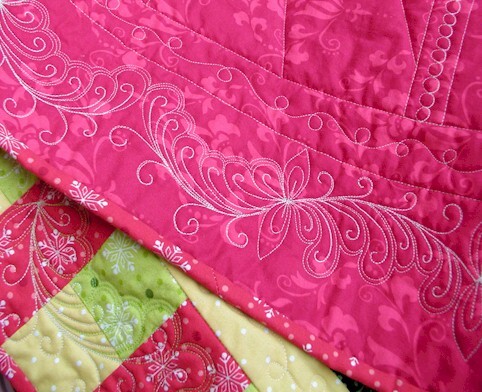 I was happy that I was able to contribute to The Quilter right up till the very end of the publication in 2014. 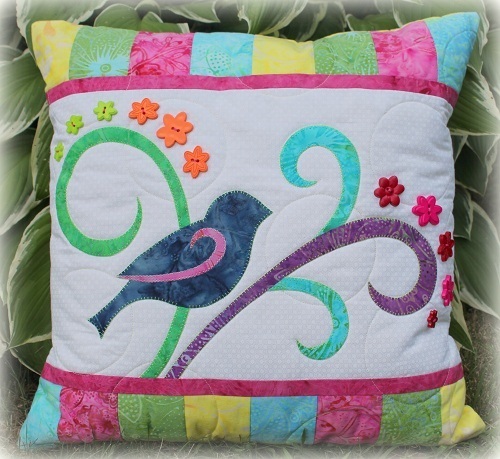 So, might you have a favorite among my featured projects in The Quilter? 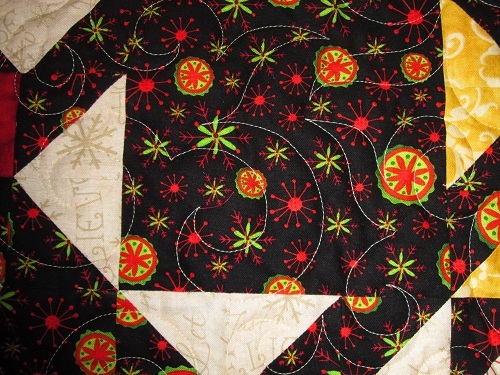 Also, if you are a former subscriber of The Quilter — are you experiencing withdrawal? 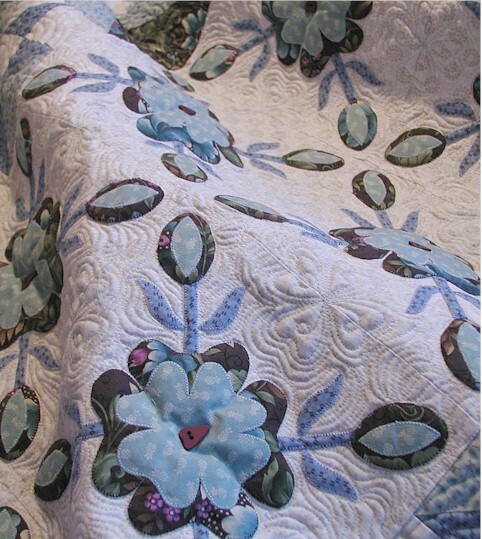 I cannot leave today without mentioning the former editor of The Quilter, Laurette Koserowski. 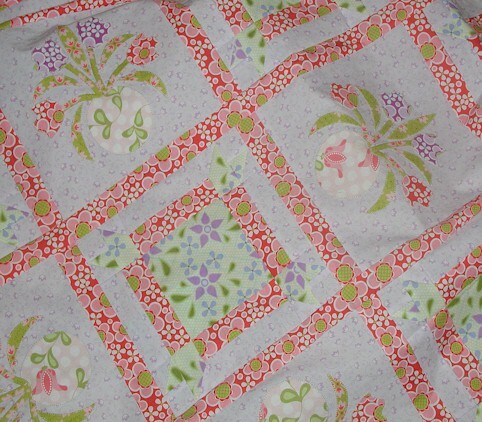 I credit Laurette for mentoring me on the design aspect of quilting, from the best use of fabrics to writing pattern instructions. Over the years, she grew to be more than just an editor to me. She became a mentor, a dear and sweet friend who always had a minute to chat about things that are not about the magazine quilts. She always had time to share snippets of her life experiences with me, and asked how my little family was doing etc. Laurette and I remain in touch even though we no long work with each other, and I count her a sweet blessing in my life. Happy Saturday, Friends! I hope you are doing well. It’s been a sweet Christmas for my little family, just enjoying each other. We didn’t travel far this year, and I was able to rest up a little bit for the upcoming work year. 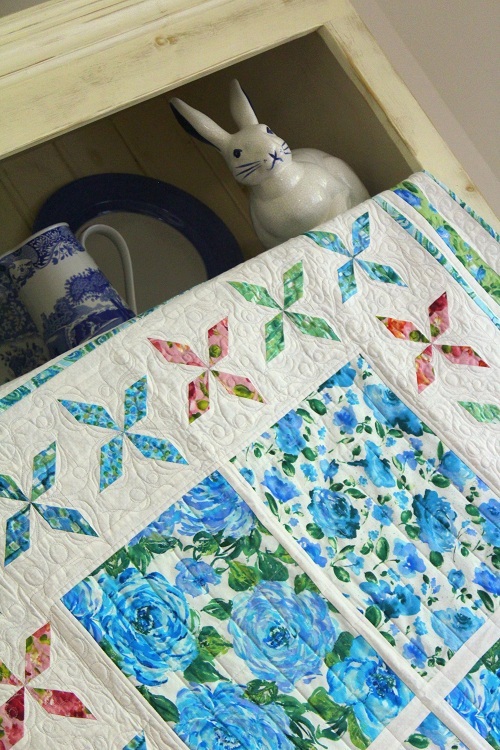 For our 2013 recap today, I am sharing with you my projects featured in two of All American Crafts’ sister magazines: The Quilter & Quilt Trends. The people at The Quilter and Quilt Trends are extra special because they very sweetly took me on and featured my designs when I was a naively inexperienced designer. I hope you have enjoyed dropping by today. As always, I love having you visit, and reading your comments. I wish you a lovely rest of the weekend. I shall catch up with you again on Monday. Hugs to you all. Happy Monday, my Friends! I hope you are doing well. 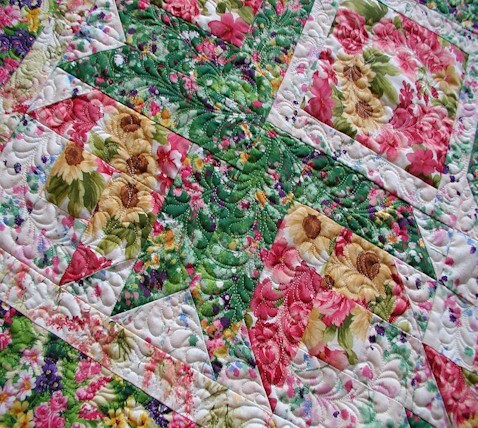 I finished quilting my Americana Florals, and shipped it by Express Mail to the editor. 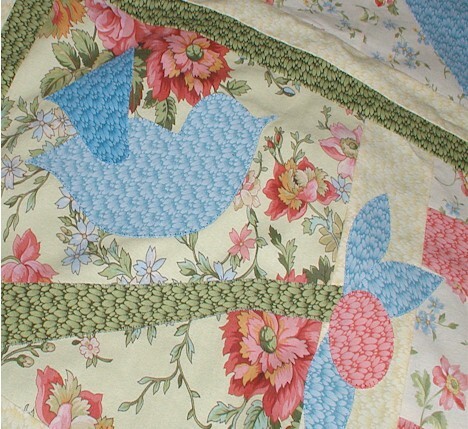 The applique blocks are very “Kansas” – they are the Topeka Rose blocks. 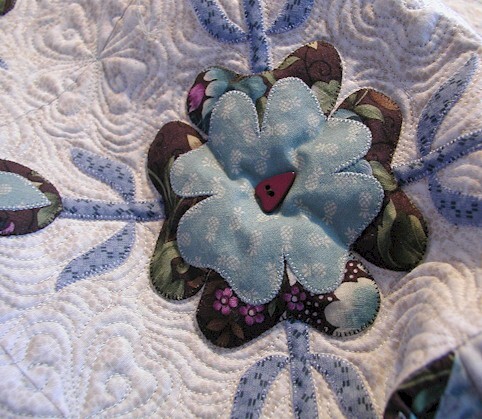 Instead of the regular fabric flower centers, I opted to use asymmetrical heart buttons for the flower centers. I thought the buttons give the blocks a slightly different look, with a hint of primitive Americana! 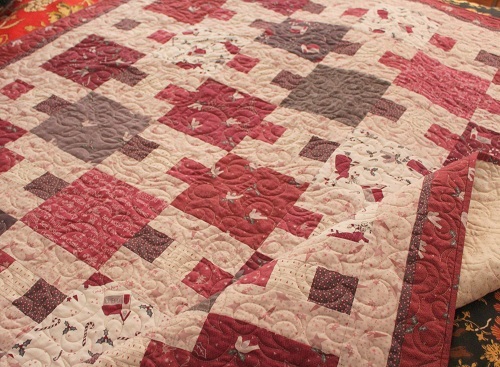 If all goes well, this quilt will be featured in the January 2011 issue of The Quilter magazine. 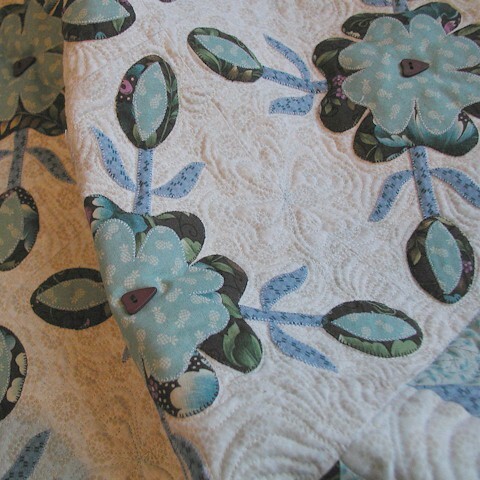 That’s all the sneak peeks I can afford to let you see at this point until the quilt is officially published. Thanks for stopping by. I wish you a lovely week. This week has gone by so fast for me. 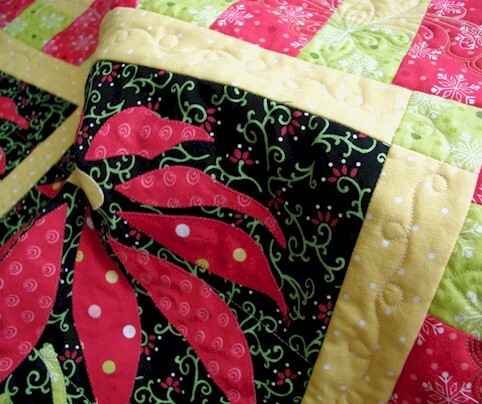 I think it’s because I have been staying up way late finishing up my Christmas Whirligigs quilt… and FINISHED it is! 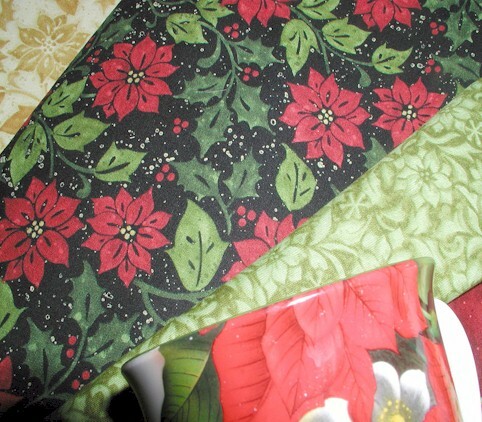 The fabrics I used for the quilt are from Benartex‘s Noel Christmas collection. 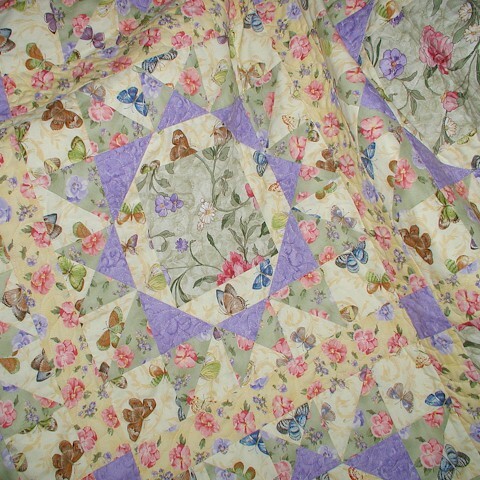 I did an allover design on this quilt in “longarm” style. 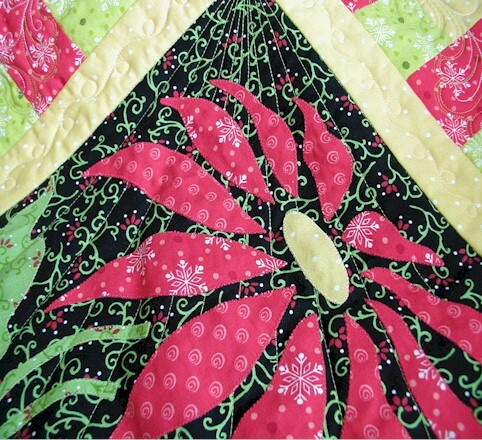 This holly/berry motif is the hardest allover design I have ever done. 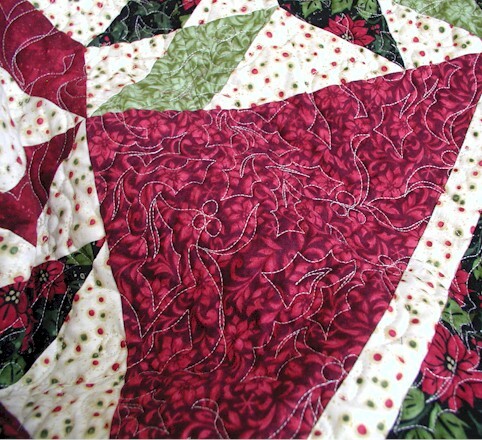 It was challenging at times because with a home machine, I just couldn’t see very far ahead to know where to go next with my quilting. 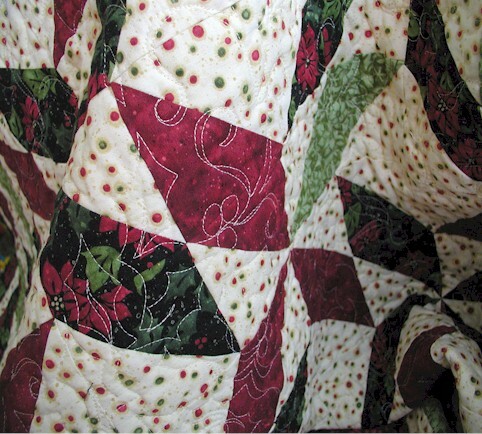 I am sorry I am not able to offer more peeks as I don’t want to give the design away until it is officially featured in The Quilter’s Holiday issue later in the year. The magazines should be hitting the newsstands sometime in October. 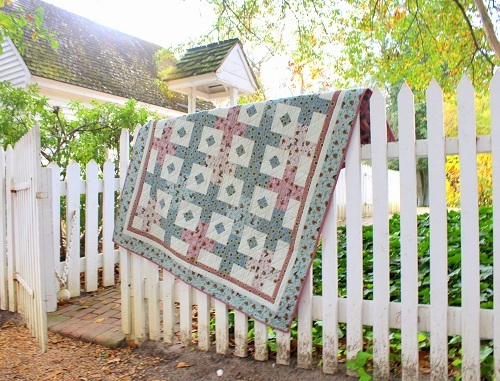 This quilt is my LAST magazine feature quilt for the year. I will be working on another Thread Talk post over the weekend. Those posts generally take a little longer… so stay tuned! Thanks for popping by – have a fantastic weekend! Happy Monday, my Friends. I hope you have had a good weekend. I squeezed in some extra rest over the weekend because I wasn’t quite feeling 100%. But other than that, I had an enjoyable time catching up with some stitching. I will show you pictures later, but for now…. 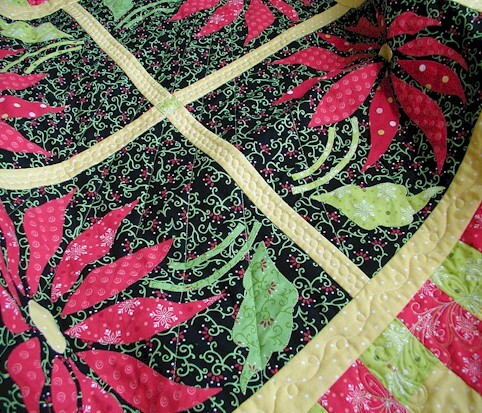 I am happy my Poinsettia Parade quilt is DONE! These are all the sneak peeks I can show you for now until the quilt is officially featured in the Holiday Issue of The Quilter magazine. Thanks for stopping by. I hope you have a lovely week ahead of you. 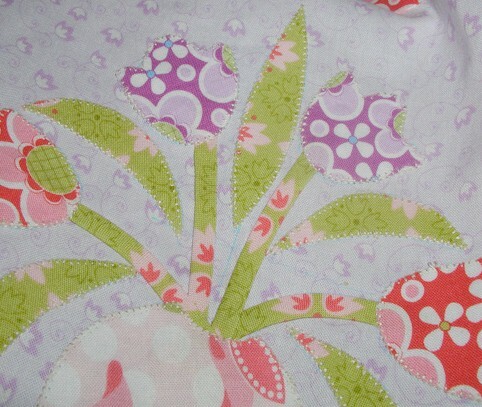 These fabrics are from Henry Glass‘ Marabella collection. 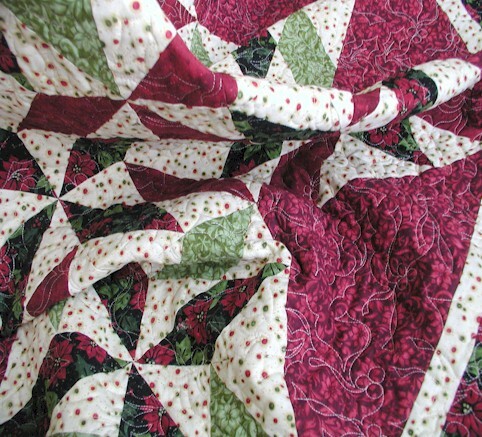 The quilt is scheduled for feature in The Quilter‘s July 2010 issue. Come back later for more sneak peeks. Meanwhile, I wish you a happy start to a new week. Can’t beat that with a stick! Thank you for stopping by today. I hope your day goes well for you! 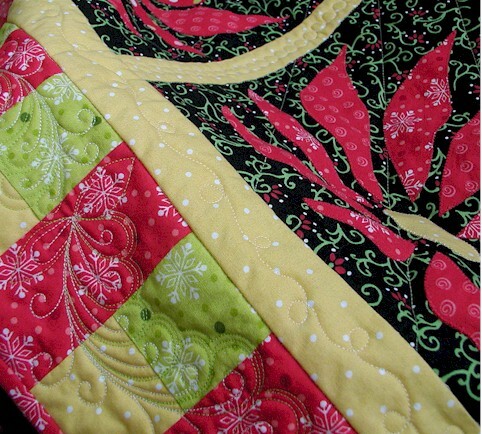 I have been sewing at my sewing machine feverishly since Monday — I should have some pictures to show you soon. 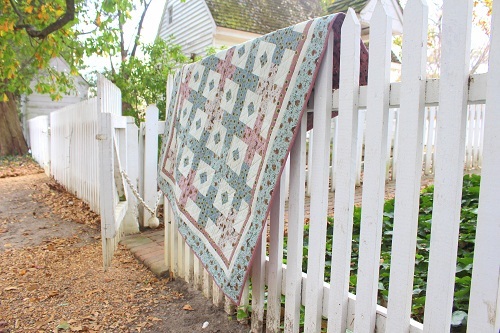 My quilts will continue to appear in The Quilter at least through the July issue next year. Stay tuned for announcements and pictures! Now before you conclude your visit, I would like you to vote for your viewer’s choice among my quilts featured in “The Quilter” in 2009 — just for fun. 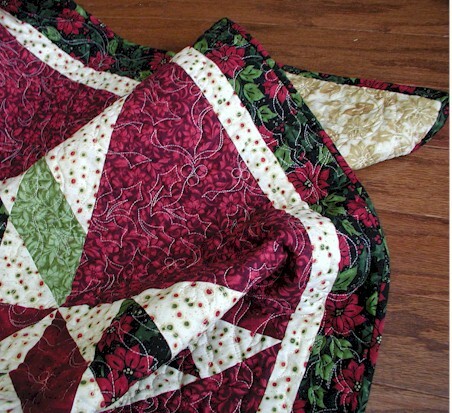 I am going to alert the editor which one of those quilts wins the Viewer’s Choice. p.s. 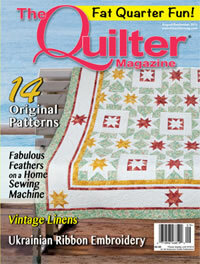 Back issues of The Quilter Magazine are available by clicking here. 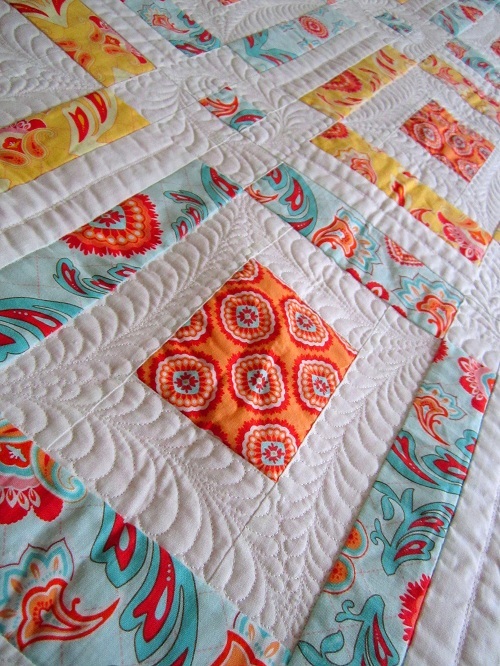 This quilt takes on a more whimsical look compared to my usual traditional ones. Even though I am a “straight lines means straight lines” person, I free-handed all the straight lines. So, my “straight” lines aren’t exactly 100% straight as seen in the green sashing. 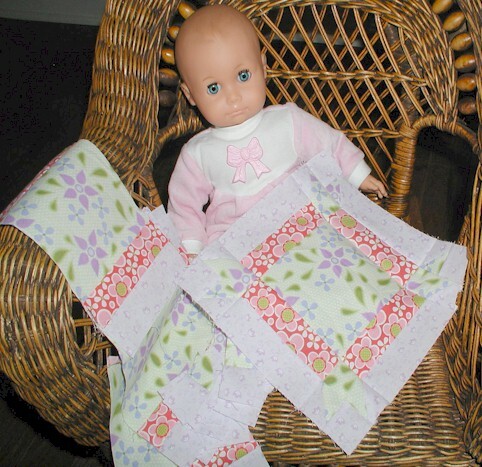 The fabrics are from RJR’s Sweet Pea Collection. 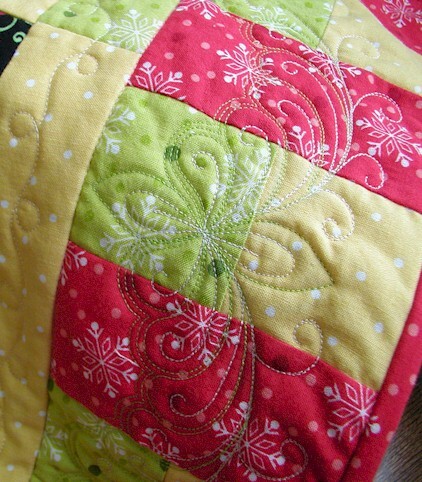 They will be available in quilt shops in January 2010. Thank you for stopping by to see my dream log cabin. I hope you have enjoyed a more girlish version of the usually more manly rendition of this classic block. Have a sweet day! And now, onto quilting it I go! This week is going to be CRAZY for me, but any more craziness is what keeps my little world going round and round! Have a great week, everyone. 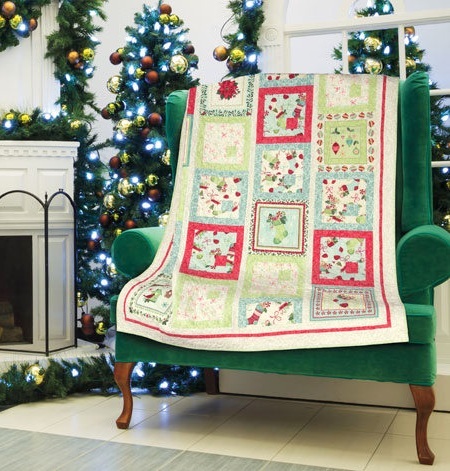 The Quilter Magazine – HOLIDAY ISSUE – Forever Christmas! Good day, everyone! 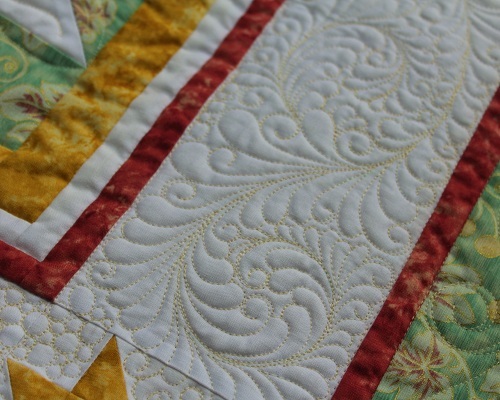 A special welcome to those who have stumbled on “Ivory Spring” through the Blogger Quilt Festival! I hope you enjoy your little visit here. Please leave me a comment so that I can visit you back. 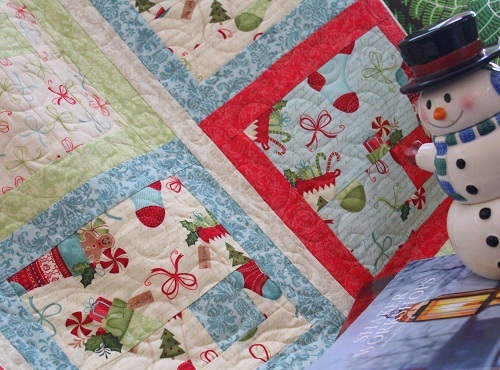 The Special Holiday Issue of “The Quilter” is out! I have enjoyed browsing through it. I love love love Christmas! 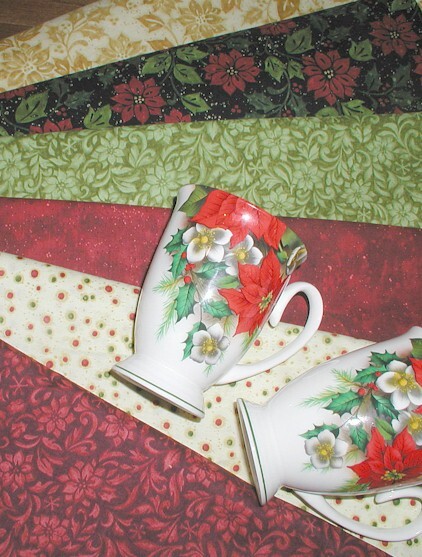 My “Forever Christmas” quilt (fabrics courtesy of Red Rooster Fabrics), featured in the issue, expresses my sentiment perfectly. I always leave my Christmas decorations up as long as my family can possibly tolerate it. And when I am taking them down (finally! ), I am always wishing Christmas would be forever! Shown with my quilt here is one of my all-time favorite Christmas pieces – a Christmas pyramid from a German antique shop. Thank you again for popping by! Hello Everyone, I hope all is well with you. 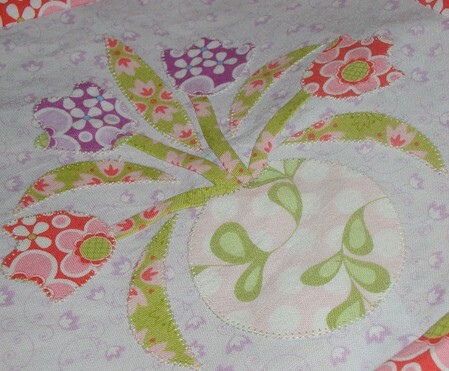 I want to thank you for your kind words on my Apple Quilt. 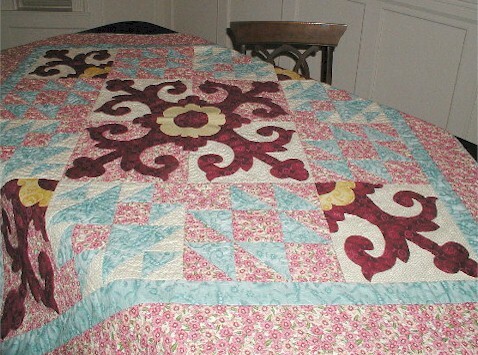 I remember really enjoying making this quilt because it was designed to be a rather quick project. 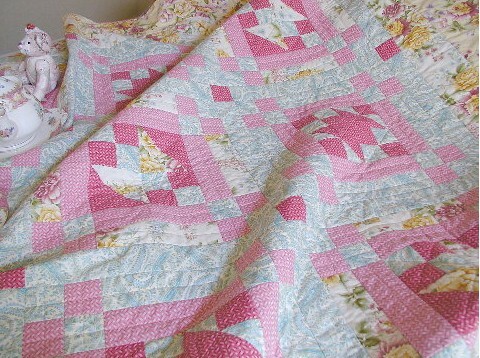 I was under a gruesome deadline in that I had to finish the quilt in less than a week. Now that the deadline is behind me, and the quilt is published, I can think back on the time I was making it with much satisfaction! Thank you for stopping by! You have encouraged me with your kind words. 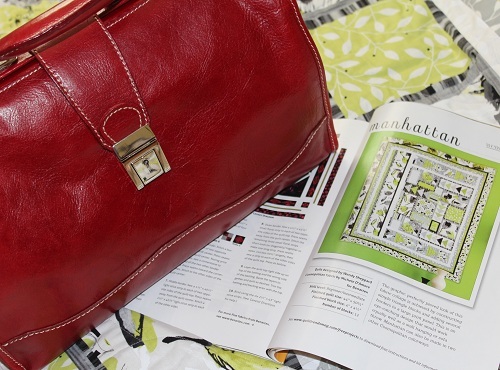 I dedicate this blog post to all of my bloggy friends! Have a blessed day, and if you happen to spend the day in your garden, I wish you a cottage-y garden day! p.s. 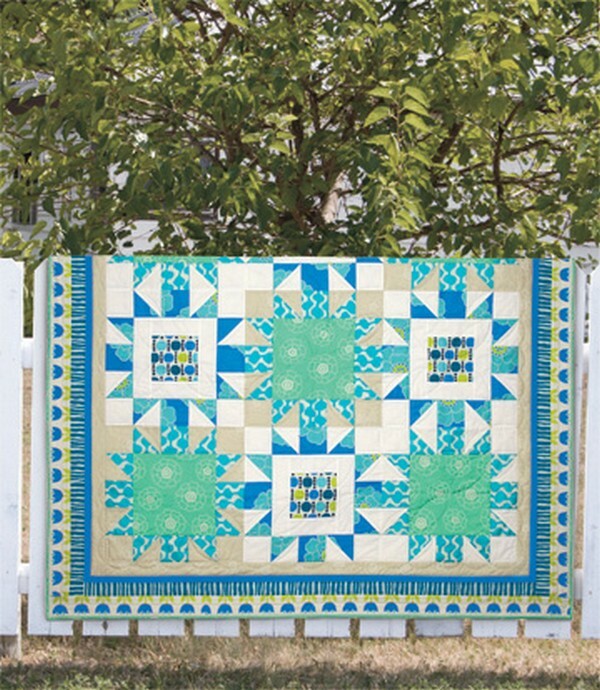 You may visit Heartbeat Quilts for the quilt kit.